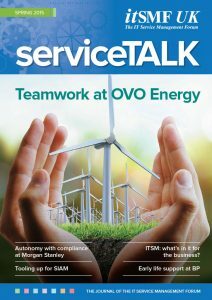 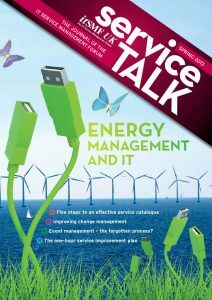 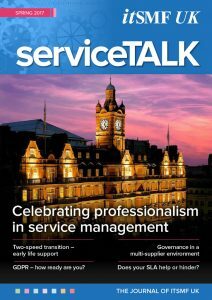 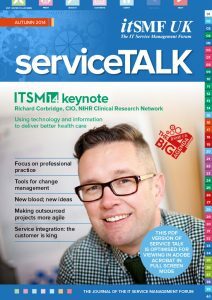 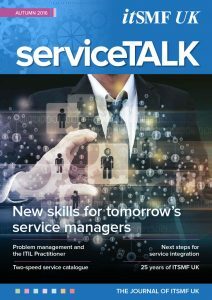 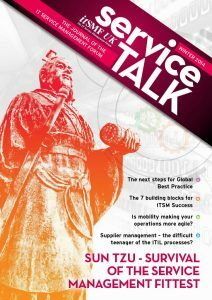 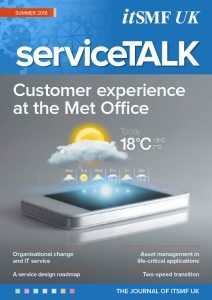 itSMF UK’s member magazine ServiceTalk is available in an online format or PDF, as well as the traditional print version. 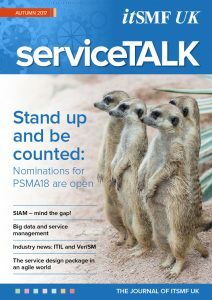 If you would like to receive the print edition regularly, make sure the ServiceTalk option is selected in your member profile. 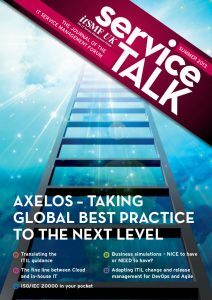 GDPR – How Ready Are You? 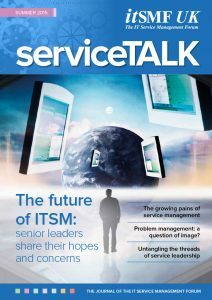 Bringing ITSM to a New Generation. 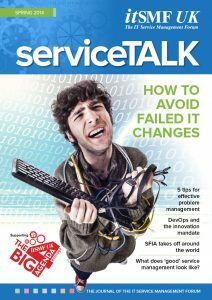 Problem Management: A Question of Image? 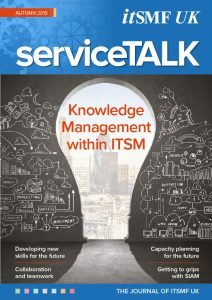 ITSM: What's In It for the Business? 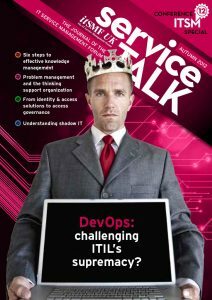 Gamification in the Workplace - What Is It Good For? 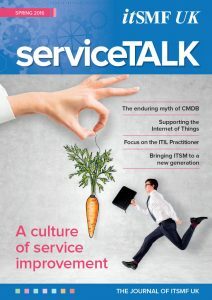 What Does "Good" Service Management Look Like? 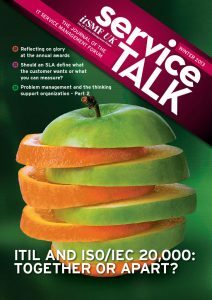 ITIL and ISO/IEC 20000, Together or Apart? 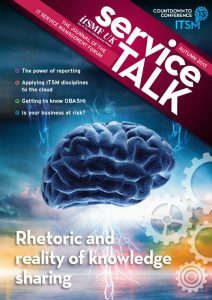 Should an SLA Define What the Customer Wants?